“Is there something wrong with all of this? Or is there something wrong with me?” queries Jonathan Higgs on an atmospheric and touching track called ‘New Deep’. It’s a puzzling self-introspective question that’s very likely to be in the mind of most inhabitants of the world at the moment. It’s unsurprising though that those words come out of Higgs’ mouth because the Mancunian’s band Everything Everything are professionals at writing intellectual lyrics that reflect society’s fears and mindset at a given time. Two years ago on the album Get To Heaven, they expressed anger and disenchantment at the atrocious state of current affairs in 2014 (when it was recorded); particularly targeting ISIS terrorism through its recruitment system and suicide bombing activity and the dishonest politics closer to home. In hindsight it became prophetic. Although the style of the music was purposely contradictory – upbeat and danceable – it inadvertently waters down its impact. After the surprise results of Brexit and Donald Trump’s election, their latest album A Fever Dream represents the current psyche of today’s community; desperate confusion and division. The album cover art depicts a group of people simultaneously conjoined and attempting to pull themselves apart. The surreal shape and colour are nightmarish and accompany the record’s title perfectly. A Fever Dream being a confusing nightmare brought on my illness. This childish attitude carries on to ‘Desire’, a track which reflects humanity’s growing disregard for consequence, although the character’s situation – Everything Everything often write from a different perspective – is reminiscent of Michael Douglas in the thriller film Falling Down, about a bored working man who’s patience is ready for explode, almost makes the character’s ethos justifiable. ‘Run The Numbers’ also feels like it’s sticking the middle finger up at the structure of business, taking aim at bosses obsessed with data and statistics over empathy. It’s one of many tracks that use repetition of lyrics to highlighter-mark the most important message. This is helped by the fact that many tracks on their fourth album surpass the fourth minute counter. Produced by workaholic James Ford, half of the time A Fever Dream has an indie-dance euphoric sheen that utilises layers, silvery percussion, soothing piano and left/right stereo travelling for a contemporary yet adventurous take on Coldplay. The other half of time it’s influenced by the bold rock of Royal Blood, demonstrating Everything Everything’s eclecticism and sponge for modern music. 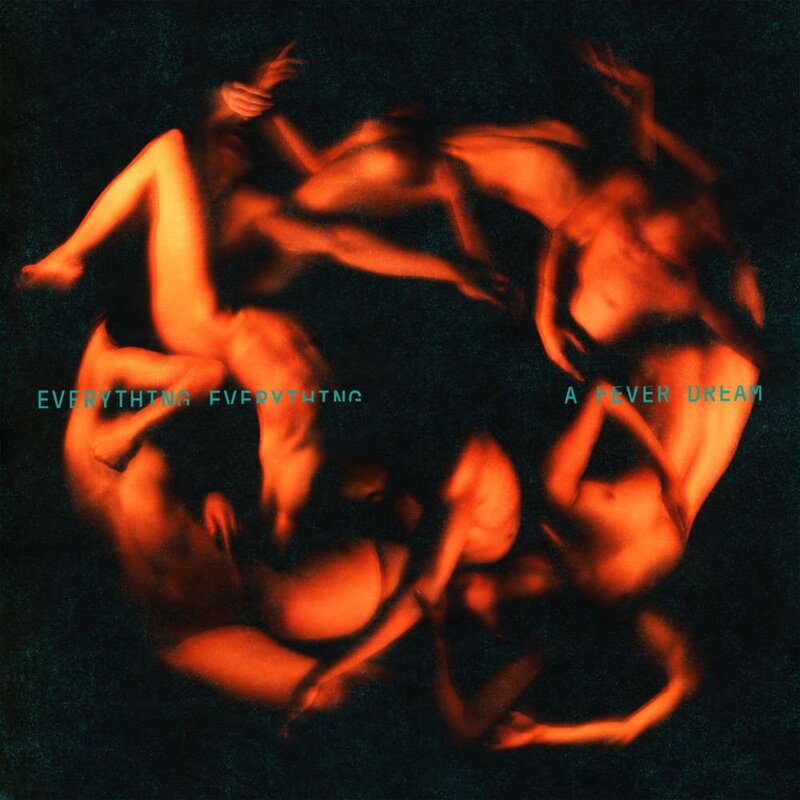 A Fever Dream continues Everything Everything praise-worthy wordplay, powerful commentary and quirky mix of modern terminology meets erudite phrases. It’s an end of the summer album alternative for intellectuals who prefer to sit and think about all aspects of contemporary life rather than dance mindlessly to the same old songs about love on a party yacht.